If you want to know the strength of a relationship, throw an addiction issue into the mix. Quiet, sneaky, deadly, addiction can infiltrate an unsuspecting and unreceptive heart and mind in an instant, affecting everything. Addiction doesn’t make a good person a bad person, but it alters the way one would normally think and function and perceive himself and the rest of the world. Joseph Habedank knows the insidious nature of life as an addict. He’s lived it, wrestled with it and had to make a decision to fight it — to fight for his life, his heart, his soul and his marriage. Through it all, his wife stood by him. To fully understand the strength of her decision and the strength of Joseph’s own heart, faith and journey, we should really rewind the clock a few years. Joseph possesses one of the strongest, most beautiful voices in the music industry. 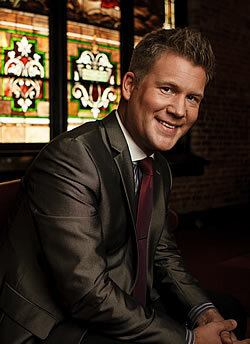 He’s won countless awards, been nominated for Doves and has built a career in music ministry. His songs have been recorded by Gold City, Brian Free & Assurance, Karen Peck & New River, Lauren Talley, The Hoppers, The Kingsmen, Ivan Parker, Jeff & Sheri Easter, and others. In July, he released Welcome Home, showcasing his own charismatic vocals and artistry. He grew up in church and has nurtured the fire within him to carry the name of Jesus to the whole world from childhood. In short, Joseph’s a good guy. Joseph never intended or expected to take such a detour in his life. In fact, he spent years watching his own brother struggle with addiction and vowed to not take a similar path. However, Joseph is a real person who reacts to life in good ways and bad ways, healthy ways and unhealthy ways. Long story short, he borrowed some painkillers for a legitimate issue. They stuck. Before he knew it, he was chemically and psychologically dependent. As of 2014, the Centers for Disease Control and Prevention officially declared prescription drug abuse an epidemic in the United States. There are now more than 17,000 deaths a year attributed to prescription drug overdoses. Medical emergencies resulting from prescription drug abuse have increased more than 132 percent in the past seven years. Much like Joseph and his brothers who all grew up in a devout Christian home, good people — all people for that matter — are just a decision or two away from a downward spiral. Fortunately, those who know Jesus Christ have all they need and more to break free. His wife was a wise, steady voice. She encouraged him to take things slow, get sober, ease into a different way of living and then approach music and ministry again. So he did. He checked into a rehab facility, he detoxed, he found a sponsor who encourages and holds him accountable, he went to meetings (and still does), and he is sober. Now, he’s pouring, his newly discovered and experienced feelings into music and ministry again. 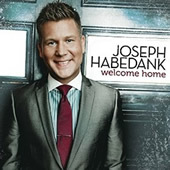 Authentic, powerful, bolstered by the creative writing skills of Tony Wood, and Michael Farrin and Sue Smith, among others, Joseph’s solo project, Welcome Home, is a tribute to healing and the Healer. “I just want to make good music to span generations, tell my story and honor Christ,” says Joseph. With a portion of proceeds benefitting Safe Haven, a housing program in Middle Tennessee, he’s putting hands and feet to his intentions. “I want to help people who are going through what I’ve gone through,” he says. “I left an interview the other day and got a call from an addict who was celebrating three days sobriety. If I hadn’t gone through what I have, I might look over the least of these, like that guy. I’m as broken as you are, and I get it. I don’t care where you come from. I think these songs can reach people anywhere. Addiction affects everyone around you. I mistreated my wife emotionally. She was invisible a lot of times. Making amends to her and other people was the hardest step. But what the devil meant for evil, God meant for good.